Hurricane Florence May Cost Up to $10B in Insurance Claims | The Voss Law Firm, P.C. Although Hurricane Florence has passed, its effects may be felt for months or even years to come. Many areas remain flooded, homes and businesses have sustained major damage, and insurance claims related to the storm are expected to reach over $10 billion. Insurance claim attorney Bill Voss explores the aftermath of the hurricane, including what property owners should do to get fair compensation for their losses. The majority of long-term damage caused by Hurricane Florence is the result of flood waters, which reached over five feet in parts of North and South Carolina. Many animals, including livestock, drowned as a result of flooding, with roads becoming impassable and cars swept away in the storm. Unfortunately, owners who did not purchase federal flood insurance may not be able to rebuild—and those who did have such policies will likely have to fight for coverage. 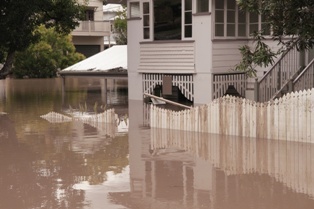 The National Flood Insurance Program (NFIP) was created to provide payment to home and business owners whose property was lost as a result of a natural disaster. However, these insurance claims have a history of unfair denials or underpayment, and claimants could wait several months before receiving a check. Due to the high number of claims filed after a major weather event, victims of Hurricane Florence should file their claims as quickly as possible, and report any suspicious or unethical behavior on the insurer’s part to the state department of insurance or seek legal counsel. The first thing home and business owners should do is to read their insurance policies all the way through, making notes on any deductibles, exemptions, and enhancements that can affect the amount of the claim. Once owners know what is—and isn’t—covered, they can more accurately estimate the amount they are owed. Take pictures of the damage. Many owners cannot recall the full extent of their property or personal possessions from memory, but photos allow them to see every kind of loss at a glance. Pictures not only provide a clear understanding of the extent of damage, they can also be used to make inventory lists and clarify a case against an insurer. Keep all claim documents together. Diligent documentation is key to getting adequate compensation for losses. Once you have notified your insurer of a loss, keep all records related to the claim in one file with your claim number written on top. Add any paperwork you receive that is related to the storm or recovery, including repair estimates, emails from the insurer, correspondence from the local government, or receipts for hotels or additional living expenses. Be careful what you say to adjusters. Insurers will often send an adjuster to the property to see the damage firsthand. While this is a necessary step in the claims process, the adjuster is working for the insurance company and is looking for ways to save the employer money. You must be extremely careful during each interaction with an insurance agent, since anything you say can be used to deny or underpay the claim. Select your contractor carefully. You have the right to hire the contractor of your choosing, but you may see higher prices and longer wait times after a major disaster. The insurance agent who comes to inspect the home may suggest a local contractor who can perform repairs, but this may not be the best choice. Be sure to evaluate the size of the team, the jobs the contractor has performed in the past, and whether the construction company can perform any necessary building code upgrades. Prepare for a fight. Insurers who are expected to lose billions in repair costs may perform unscrupulous actions in order to protect their bottom line. Consumers may have to engage in negotiations, speak with multiple agents, or hire a bad faith insurance lawyer to get the compensation they deserve. Our attorneys work to get full and fair payment from commercial insurance carriers that act in bad faith. If you need help with any hurricane damage insurance claim for your home or business following Hurricane Florence, please contact the Voss Law Firm at 1-888-991-3212 or simply fill out the form on this page today.